Martin hasn’t always been a karate instructor. It is a vocation he turned to after retiring from a first career as a lawyer. 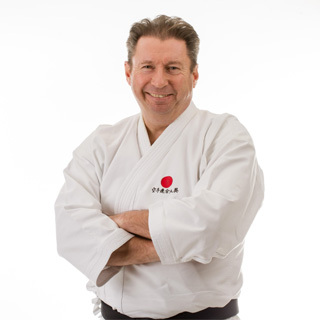 Having been successful in his legal practice, he was able to retire in his early 50’s and turn his focus to teaching others about his passion – karate. Knowing how much the qualities of discipline, concentration and confidence – learned from training in karate from his teenage years – had contributed to his own professional achievement, Martin resolved to establish a karate club that would open the discipline to a wide range of people who might benefit from it. He created Hale Karate Club in 2012. With its welcoming atmosphere and quality personal instruction, membership has quickly grown. Martin continues to lead the 9 weekly training sessions. He combines this with his own training under Senseis Sherry and Harford.